As today is a bank holiday due to the Royal Wedding I decided to get up early and get a ride in first thing. I've been enjoying a 28 mile loop I put together last week and this would be the 3rd time I've ridden it. A little windy but not a bad ride. 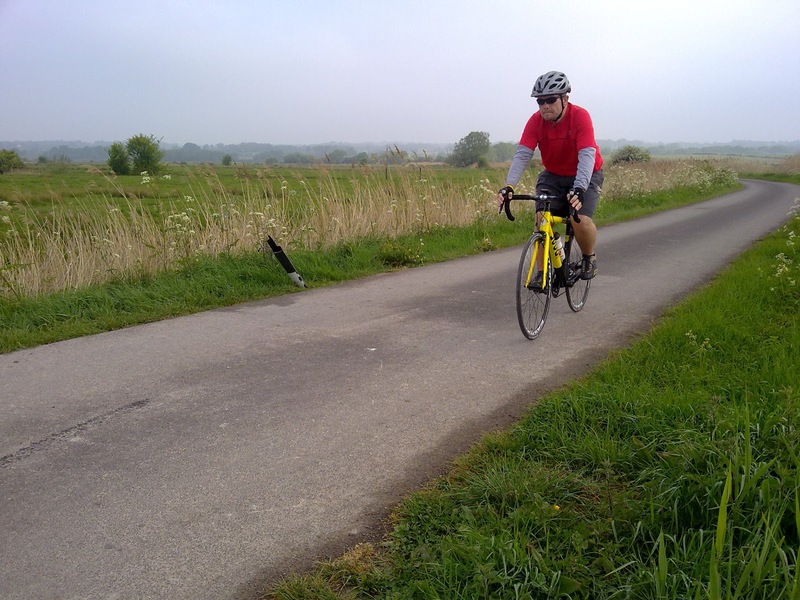 I saw fellow cyclist Jean-François Phillips riding in the opposite direction as I rode through Pevensey Bay. We both stopped and chatted for a bit. He was riding to Bewl Water and back to avoid the royal wedding. Well, it's the pinultimate day of the #30daysofbiking. I've covered 580 miles so far and have one last day to hit my target of 600 miles in a month, which will be the most number of miles I've ever done in a month. I'm out all day and not sure what time I'll be back so it might be a late finish to the most interesting month of cycling so far. I have one more ride to do today, then I am done with the 30 Days of Biking Challenge as well. Your mileage is awesome. I only did 200, but it was my biggest month ever, so I am pleased with it.